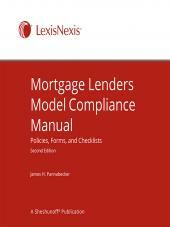 Author James Pannabecker offers clear analysis of the law, practical guidance for complying with regulations, and assistance in drafting forms and developing procedures that comply with truth-in-lending requirements. Addressing such issues as Dodd-Frank and implications of the CFPB, this must-have resource includes more than 100 sample forms and disclosures. 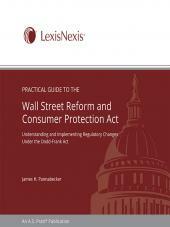 The Dodd-Frank Wall Street Reform and Consumer Protection Act means more risk for you. To a large extent, the early stages of legal and regulatory compliance will be based on current laws and regulations. Nonetheless, you can expect closer regulatory scrutiny of your current compliance, as well as your compliance to changing requirements from the Consumer Financial Protection Bureau. For the information and guidance you need to navigate in this shifting regulatory environment, look no further than the newly-revised Fourth Edition Truth-in-Lending Manual—your comprehensive, practical guide to Truth-In-Lending, Regulation Z, and Regulation M compliance. 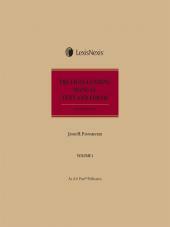 This three-volume reference offers clear analysis of the law, practical guidance for complying with regulations, and assistance in drafting forms and developing procedures that comply with truth-in-lending requirements. • New format requirements for credit and charge card promotional forms. • New rules for cost disclosures at account opening. • Revisions that require itemizing interest charges for different types of transactions on monthly statements. • Expanded circumstances under which consumers must receive a written notice of changes in the terms applicable to an account. • New provisions that tighten the rules for what you must disclose in your advertising. • Additional provisions that affect how you handle mailed payments and advances that are separately underwritten. • Limitations on applying rate increases to credit card balances (with many exceptions, of course). 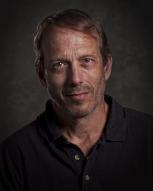 • Limitations on increasing rates and charges during the first year of a credit card account. 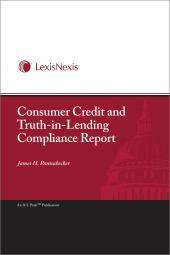 • requirement that card issuers consider a consumers ability to pay. • Limitations on marketing open-end credit to college students and disclosure of student marketing agreements between schools and lenders. • Limitations on offering credit cards to consumers under age 21. • Restrictions on over-the-limit fees on credit cards. • Rules on how to apply payments made on credit cards. • Procedures to enable administrators of decedents estates to resolve outstanding credit card debt. • On-line disclosure of credit card agreements. • Limitations on fee-harvester (subprime) credit cards. • Prohibition of double-cycle billing. • Prohibition of fees for using methods of payment on credit card debt. • Including minimum payment warnings on credit card statements.